Along with some new gameplay footage, Harmonix also announced ten new tracks for Dance Central 3.
the sake of fighting time crimes. It's ridiculous, and Harmonix is here to explain it. 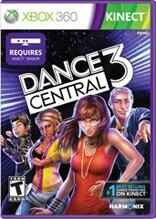 We take a journey back a generation to find out Dance Central 3's retro songlist and new features.